Good afternoon everyone! I hope all is well. 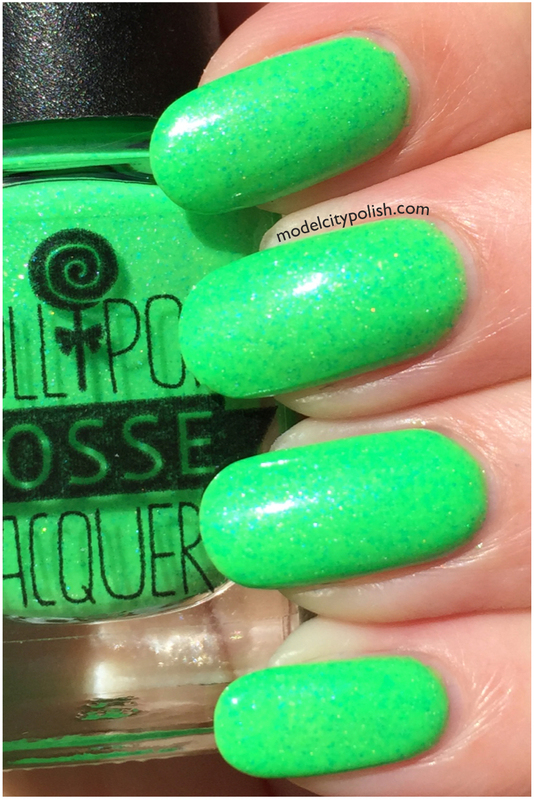 Today I am back with the second part of the new Dancing Girl Collection by Lollipop Posse Lacquer. 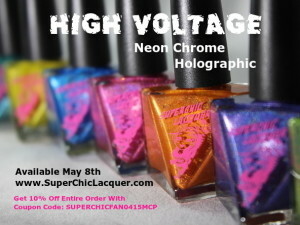 The new Dancing Girl Collection consists of 8 wonderfully bright lacquers that are just perfect for summer. 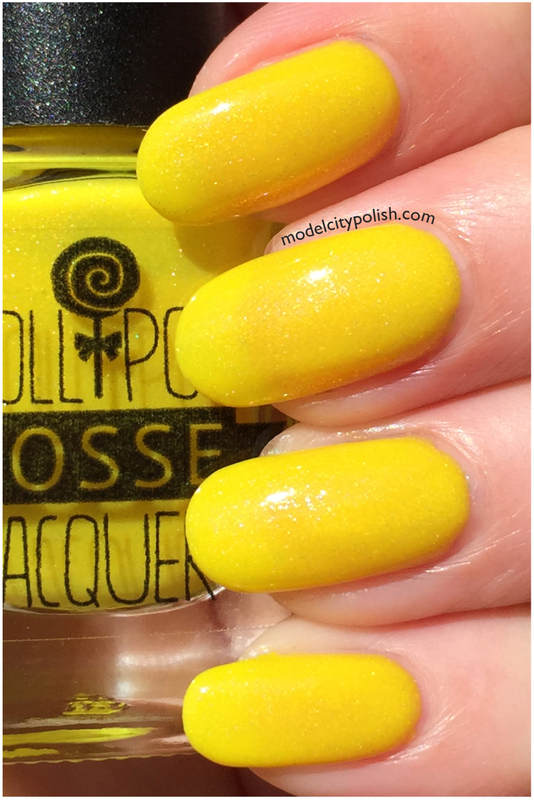 Yesterday I shared three stunning lacquers from the new collection, today we will look at two more. First up today we have Space Cake High. 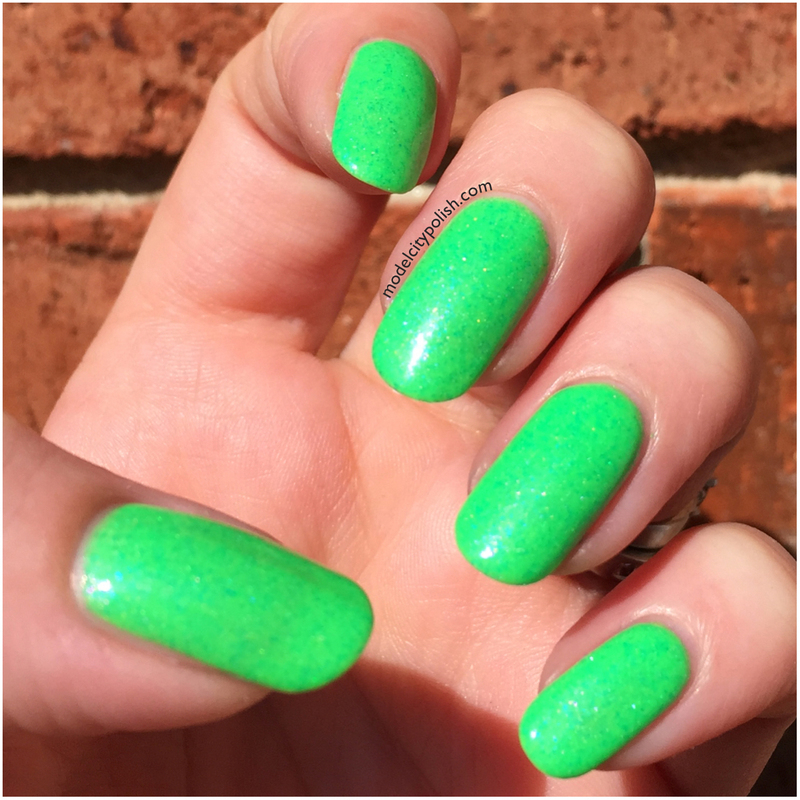 This is a insanely bright green crelly with blue flecks and hint of holo. 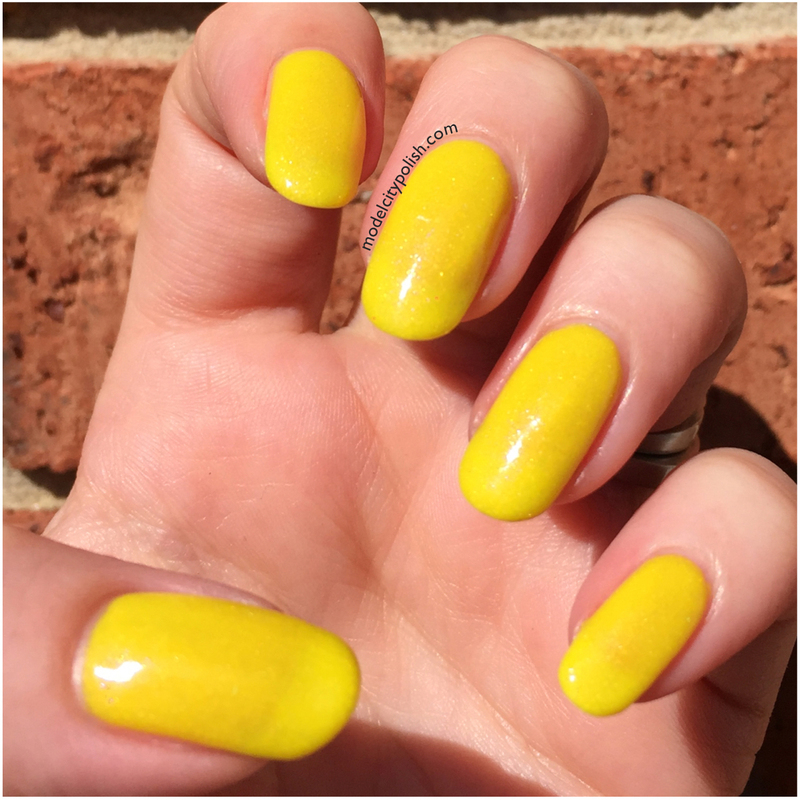 Formula was slightly thick, but super easy to work with. 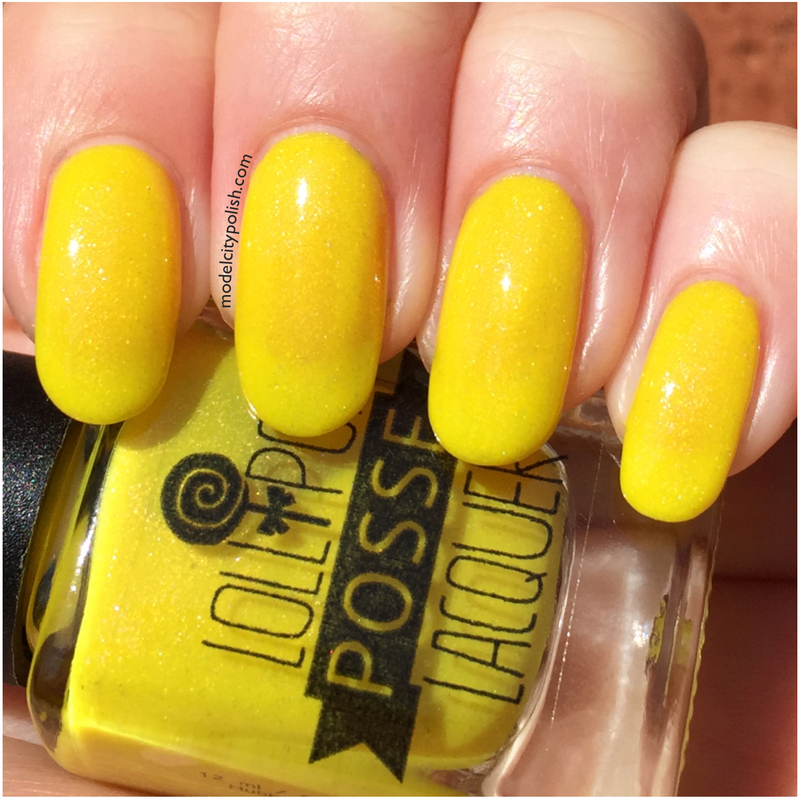 I was also pleased with how opaque this blend was without the need of white base coat. In my photos I am wearing three coats of Space Cake High. Lastly we have Somebody Leave the Light On. 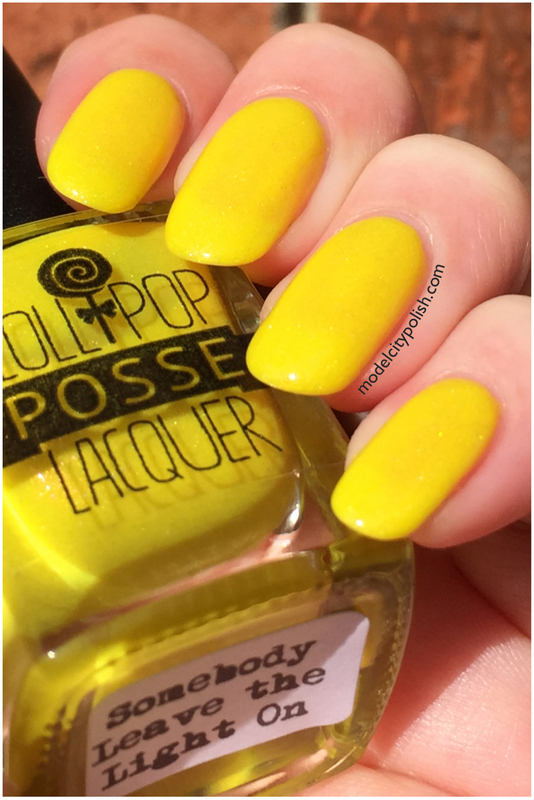 This is a bright sunshine yellow copper fleck and hint of holo. 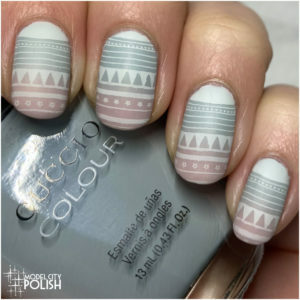 This blend is a little sheerer and is recommended to use a base of white for full coverage. 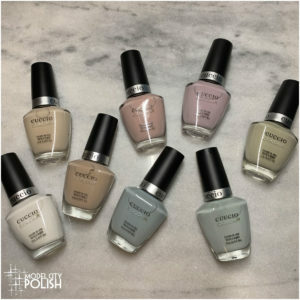 In my photos I am wearing three coats of Somebody Leave the Light On, no base color. 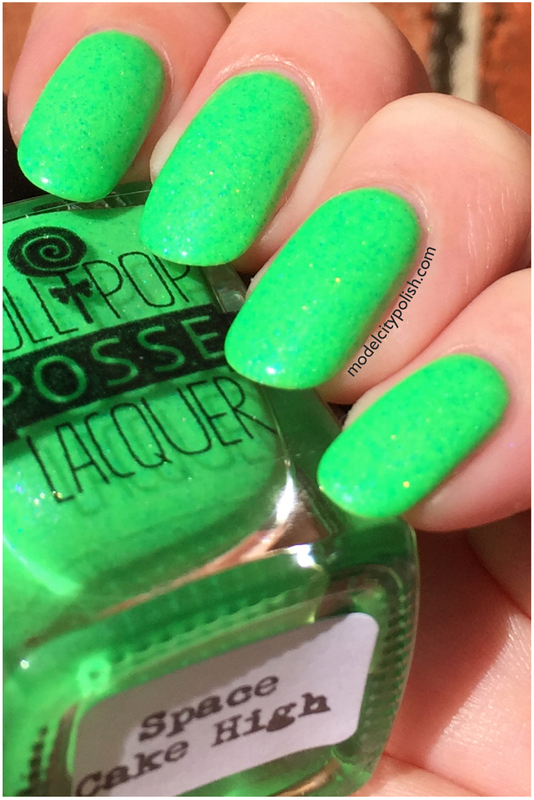 So what do you guys think of the new Dancing Girl Collection? All in all, I am very pleased. 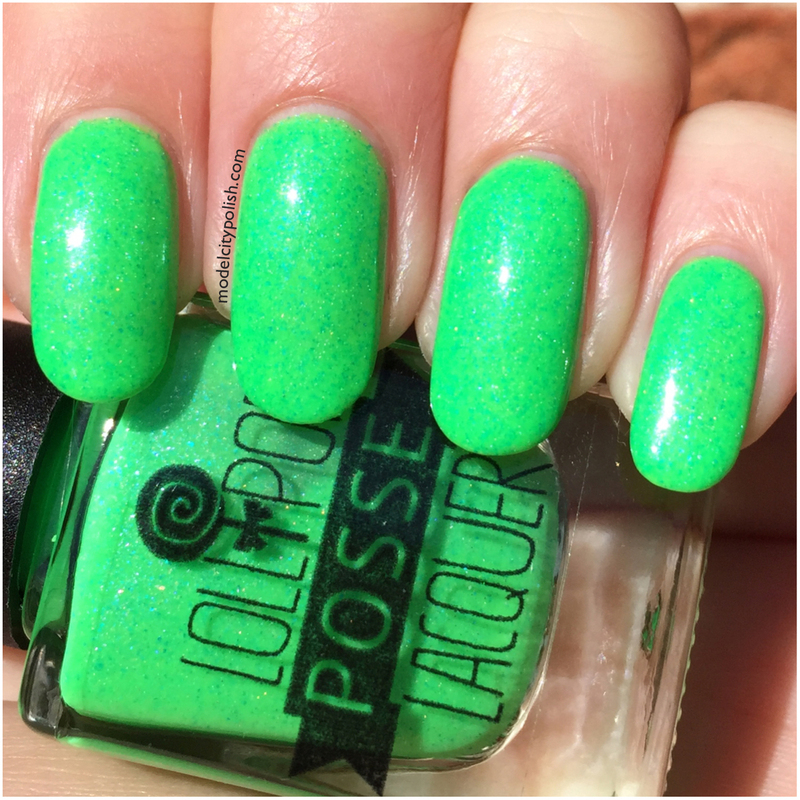 I look forward to seeing where Lollipop Posse Lacquer goes in the indie world. The Dancing Girl Collection releases on May 23rd at 12:00 PM EST, but until then, give them a follow on Facebook for more sneak peeks. Thank you so much for stopping by today and I will see you all again tomorrow. Space Cake High is freaking awesome!